We start our basil early with our tomatoes, around the beginning of April, and plant out the plugs sometime in June, after most risk of frost has passed. Sow seed 0.6 cm (1/4") deep and don't keep the soil soggy or allow it to dry out. Germination is enhanced by warmth, 20 - 25 C being ideal. 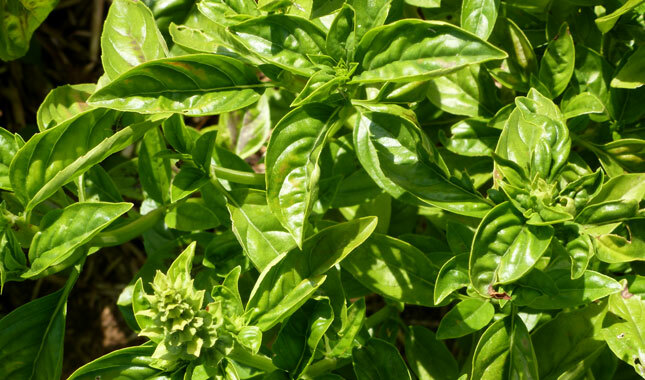 It is important not to overwater basil, as fusarium wilt is a concern. Harvest tops as they approach flowering – this pruning promotes branching and leaf production. We love making fresh pesto, but also like freezing basil in jars (pureed with olive oil and lemon juice) for use through the winter.